Is your basement overdue for a remodel? The specialists at Northeast Basement Systems have superior basement finishing products to offer those looking for a more finished basement look. This patented paneling option benefits from our high quality SilverGlo™ insulation, which boasts 24% greater energy efficiency than other similar products. 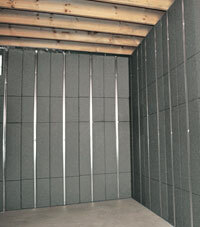 This closed-cell variety of insulation will not create “cold spots” when installed. 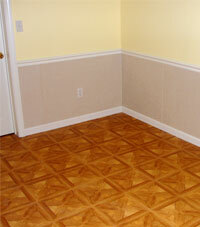 Finished wall panels are easily applied after installation. The industry’s highest R-13 thermal value. Non-permeable closed cell design won’t absorb water or promote mold growth. We have an ideal answer for repairing wet or damaged drywall. Our unique product is an entirely waterproof wallboard system that’s 197% stronger than traditional drywall. Call or contact us today to schedule a Free Estimate or to learn more. We serve all of the Boston, MA & New Hampshire area, including Boston, Manchester, Lowell and nearby.